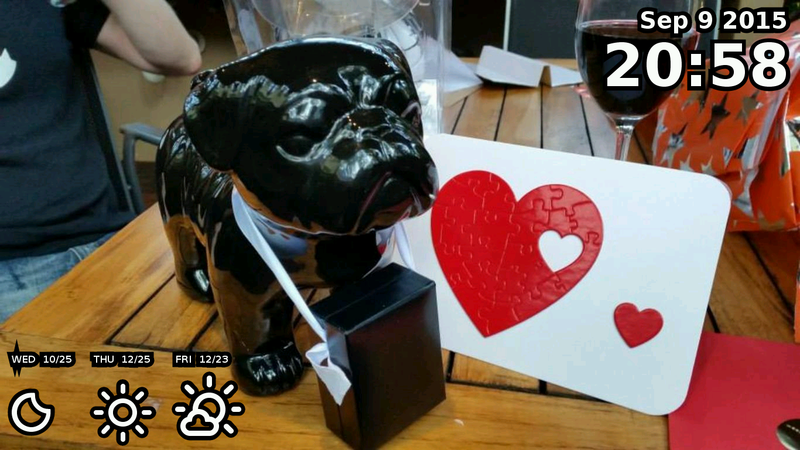 My jPhotoFrame software is at a stable point now and looking good. This is the mapping that I created between the Yahoo! 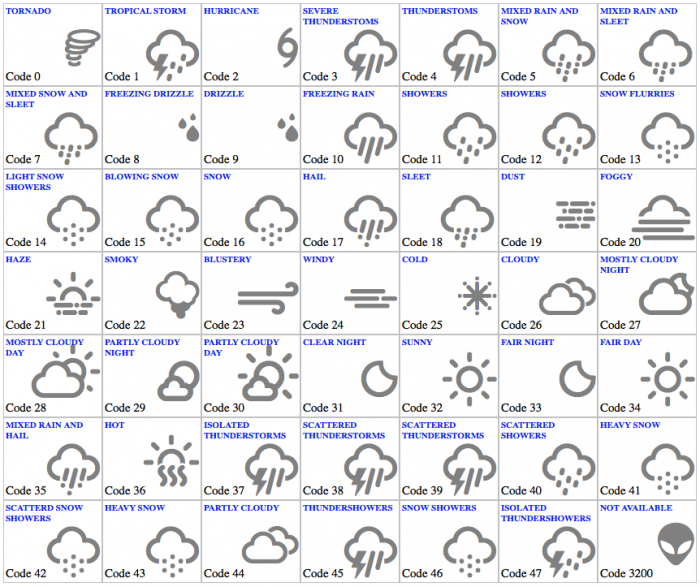 Weather condition codes returned for daily forecasts and the Weather Icons font. Some of the mappings use the same icons because I couldn't find anything to differentiate them. 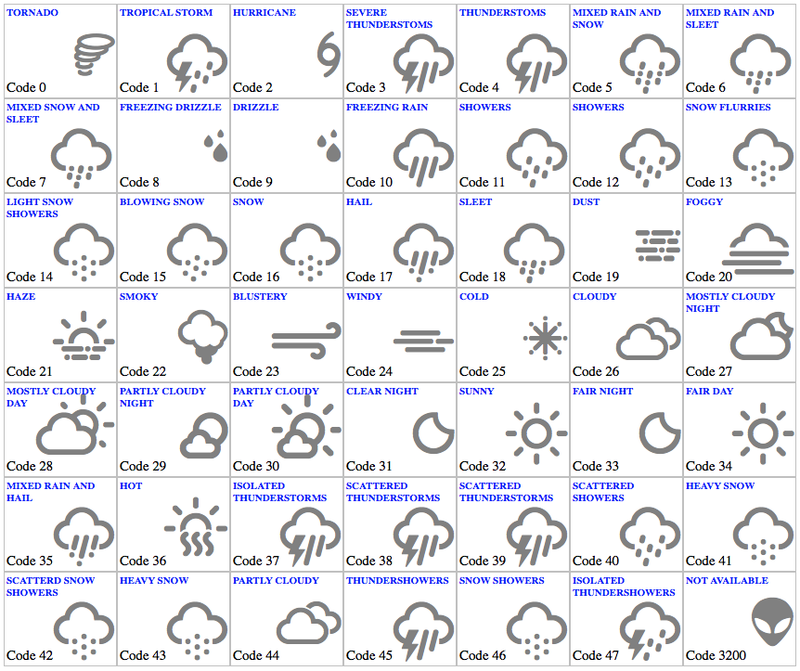 For example Severe Thunderstorms and Thunderstorms are mapped to the same icon. I also have a little issue with some icons not displaying in the exact expected location, but I think this is an issue with how Java handles fonts. The Java file that defines this mapping as an Enum is available from GitHub. The HTML version is here.